A strong core not only looks great but is one of the most functional muscle groups in your body. By properly engaging your core, you can effectively channel the force of your movement to your arms and legs more efficiently, resulting in more powerful punches, faster dodges, better balance, and perhaps most importantly, will insulate and protect your spine and internal organs especially with the onset of age. Conventional methods usually have people doing hundreds of sit-ups or crunches to achieve a strong midsection, but that isn’t necessarily the most effective use of the core musculature. A more functional approach to building a strong core will engage those muscles through full body movements. Instead of bringing your chest to your knees repeatedly, you maintain a more rigid core to maintain good posture while moving your arms and legs through a full range of movement. Yoga is a great example of this, but in these VR workout games, we’ll be doing things a little bit differently. We all know The Thrill of the Fight is an effective workout for the arms, shoulders, and lats, but this one simple trick will transform it into one of the best core workouts you’ve ever had. Pick an opponent and step into the ring, but instead of trying to knock your opponent out, restrain your impulse to fight back. For this modification, we will throw no punches, and once the bell rings, your challenge is to evade. Duck, dodge, and dance around your opponent’s punches to avoid getting knocked out, and if you can endure through all the rounds still on your feet, your midsection will feel like it’s just been through a meat tenderizer. Not only is this an extremely effective core workout, but it will make you a much better defender the next time you step into the ring as a non-pacifist. Nothing compares to dual wielding lightsabers as you slash your way through a flurry of colorful cubes, but one often overlooked feature of Beat Saber is the single saber mode. For this workout, you can stow the red lightsaber in your back pocket, because we’ll be doing twice the work with half the weapons. In the song menu, you’ll notice two icons displayed next to each song. One has a little character with two sabers and to the right of him is represented by the little guy holding just one. These are your single saber tracks. Select one of those and then you’ll see the same icon displayed in the right pane. Select that option and your song will run in single saber mode. 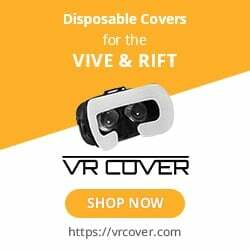 Go ahead and hold your controller with both hands (for WMR and Oculus controllers you can hold your wrist) and tighten your core. Try to keep your feet anchored in place and both hands on the controller and extend from the waist to reach all the blocks coming at you. You’ll really have to whip your upper body around quickly, twisting from your midsection, to get slice them all. You may notice that you favor one leg, either with a left or right foot forward stance, so try switching your stance up between attempts so that your dominant leg is planted on the back end. This will give you a more symmetrical, balanced, and productive workout while also increasing the difficulty. Unfortunately, there are currently only six songs that are compatible with this game mode but don’t despair because there’s a mod called Single Saberize that you can install that will turn any track into a single-saber one. Just drop the executable into your Beat Saber directory, run it, and will create separate single-saber conversions of all your songs. Using one saber instead of two might sound easy since there is less color coordination to mind, but it’s quite a challenge. Your abs will thank you once they stop hurting. Want an even greater challenge to work your core in Beat Saber? Try following the Darth Maul Mod tutorial to transform Beat Saber into dual-bladed mayhem. For best results, as with using a single saber, wield your dual-bladed saber in one hand, forcing you to twist your body to hit all the blocks. This elicits many of the same movement patterns as using a single saber but will add a ton of variety and really up the intensity level too. Superhot VR is a great low-intensity core workout option. The gameplay mechanic that makes Superhot VR unique is also the same movement mechanic that will recruit your core; slow motion. Really commit to moving as slowly as possible here so that every step and every shift of your body requires you to tense your core body to maintain balance. If you notice a loss of balance when moving your feet or leaning around bullets, that’s a symptom of a having a weak core. The cure for this is simply more Superhot. If simultaneously maintaining your balance combined with slow movement is too easy you can increase the challenge by balancing on one foot. If you can do that, you are truly a core specialist. My final suggestion for you core completionists out there is Fit It. It will require that you have Vive Tracker tracking pucks that you can wear on your ankles. I personally do not, so I haven’t actually been able to experience this game myself, but from the looks of it, it should certainly give your core muscle group a demanding challenge. The premise of the Fit It is simple, you have an assortment of hole-in-the-walls moving toward you on a track and you must contort your body so that you can squeeze through them without going outside of the bounds… or falling on your face. Strengthening your core is one of the most important ways you can strengthen your entire body. With the help of these games, a stronger core will translate into you being a more effective VR athlete and looking great with your shirt off too. Do you have any other suggestions on how to get a great core workout in VR? Let us know in the comments below.